Event: 2016 Kickoff! 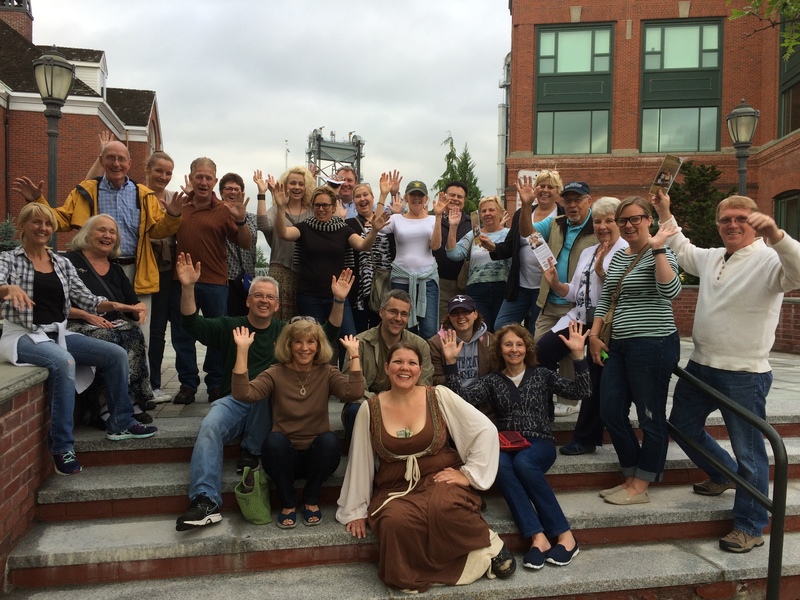 Portsmouth Underbelly Tour! Saturday, June 25! Did you know a man killed a girl because he did not want to be late for dinner? Did you know Paul Revere made a famous ride to Portsmouth? Did you know at one point there were more than 11 whorehouses who served up to 1,500 men a night? 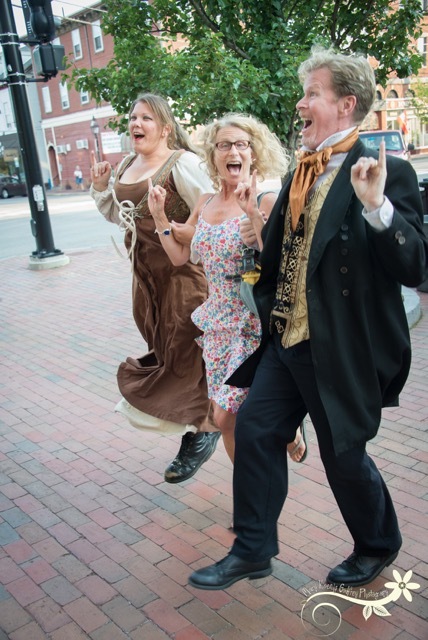 Yes, whores, pirates, murderers, poets, and madams all made their mark and there Portsmouth Underbelly Tour is here to show you that there are two sides to every story! 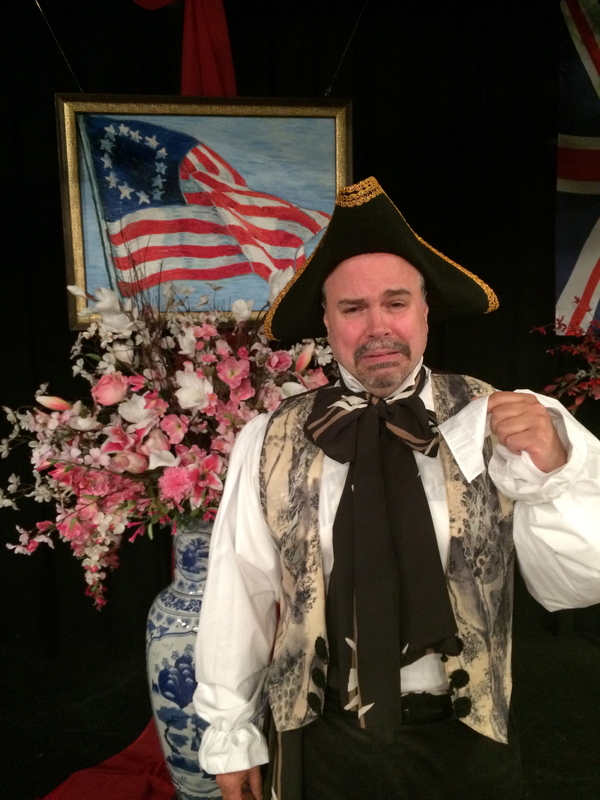 The adult’s only tour is stand-up history at it’s best as costumed characters take you back into a history that the city would like to forget. Kick off for their 14th season is Saturday, June 25. The Portsmouth Underbelly is performed every Monday and Saturday evenings at 6pm on the corner of State and Pleasant Streets (The Rusty Hammer) in Portsmouth. Tour is $15. 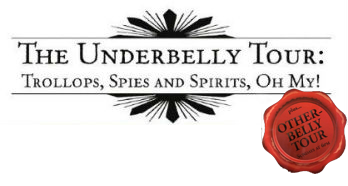 Reservations are strongly recommended and can be made by calling (978) 683-7745 or reserve online at Underbellyports.net. Guests should arrive roughly fifteen minutes early. The Portsmouth Underbelly Tour has played hosts to guests from Canada, Scotland, Great Britain, Australia the Netherlands, Germany, France, Austria, Ireland, Spain, Portugal and Chad. Guests have also arrived from 31 of the nation’s fifty states! The tour has also been featured in New Hampshire Magazine and Boston’s Chronicle and has premiered it’s brand new website underbellyports.net to. Join us and see what all the fun is about! This walking tour chronicles the underbelly of the city that is known for its quant New England charm. The historically accurate tour however tells the stories that are most often swept under the rug. Accused spy Silas Deane and tavern Wench Olive Madbury spin their interactive yarns in a way that is as scandalous as some of the stories. This tour is truly hands-on. Come and learn the scandals of some of history’s biggest names! The Portsmouth Underbelly Tour is performed by George Hosker-Bouley and Sarah Shanahan. 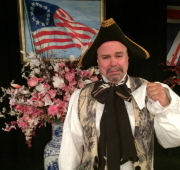 Hosker-Bouley is the former artistic and executive director of the Prescott Park Arts Festival and an award-winning playwright who has more than 17 Spotlight on the Arts Awards for his work. His latest play The Desperate Hour was his 24th original work to be performed to standing room only audiences. Sarah Shanahan is known for her broad portrayals of women on both sides of the fence. Sarah is also the winner and multiple nominee for Best Actress in a Musical for the Spotlight on the Arts Awards. She has performed throughout the Seacoast and beyond. The critics heralded Shanahan’s performance in last years Chicago at the Rochester Opera House and in Decision Heights at the layers Ring Theater. The Portsmouth Underbelly Tour is a unique historic tour in that it is presented by characters who not only tell the stories but also were all participants in them. All the familiar names are including John Paul Jones, Celia Thaxter, John Langdon and Paul Revere but these stories reveal information not carried in most text books – best of all – it’s all true! The Failure of the Contraceptive! John Paul Jones – So You Want to be a Rock Star! The brand new The Other-Belly Tour!